In August 2007, director Eric Green, producer Matthew Nerney, and Associate Producer Christian de Rezendes met with V66 founder John Garabedian to propose a documentary film about V66. Mr. Garabedian was incredibly supportive of the proposal that the three producers, who grew up as fans of the music video channel when they were children, were so passionate about. Mr. Green, a self-proclaimed music geek, had just recently finished working at the music video TV channel Fuse in New York City. “I saw firsthand how a music video channel functions in the 2000s. The idea of looking at a music video TV channel in the mid-80s that did nothing but play music videos 24/7, is so unique when you look at it from the perspective of now, what with iTunes, Youtube, and VOD” says Mr. Green. The first challenge of making the documentary was getting the original V66 footage. While Mr. Garabedian and other employees contributed footage (much of which needed to be converted to newer formats), the filmmakers began posting online for fans to send in footage. Tons of fans from all over the country sent in old VHS tapes they had kept for years. The same way that V66 was interacting with fans in the 80s, the fans became an important part of the documentary about V66 today. Through social media, fans from all over began following, tweeting, and spreading the word about the V66 documentary. For a film that wasn’t even finished or released yet, the documentary has amassed a huge following on Myspace (over 2,300 friends), Facebook (over 1,500 fans), and Twitter (over 1000 followers). They created trailers to generate interest, and boy, did it: between Youtube, Vimeo and Myspace, the videos were viewed over 30,000 times. The documentary team tracked down and interviewed over 30 former V66 employees (executives, VJs, technical crew, interns, marketers, stylists, and editors), over 30 musicians who were either on V66 or influenced by V66 (including members of The Cars, The J. Geils Band, New Edition, ‘Til Tuesday, Extreme, The Del Fuegos, Puddle of Mudd, The Lemonheads, Dropkick Murphys, and Morphine), and over 15 fans. Interviews were filmed in people’s homes, workplaces, rehearsal spaces and music venues. The documentary set up a Microproducer investment, where fans could become a part of the documentary for $66 and in return they got a V66 t-shirt, a V66 bumper sticker and their name in the closing credits. Dozens and dozens of fans from all over North America got involved and pitched in. The response was overwhelming. In 2010, the documentary team threw a V66 Reunion Concert at the House of Blues in Boston, where several V66-era bands performed (Lizzie Borden and the Axes, Animotion, The Fools, O Positive and more), V66 personalities presented, and various V66 clips were shown. In 2011, an Indiegogo campaign was launched and helped the producers’ raise thousands for post-production. Post-production was lead by director Eric Green, who also served as the editor. He got assistance from the very talented Emory Meek and Rosemary Siciliano, both of whom came to Life on the V with a tremendous amount of film and TV experience. V66 Poster featuring: Perry Stone, John Garabedian, Ian O’Malley, Bill Stephens, Mary Jo Kurtz, David O’Leary and Maribeth Cox-Livingston (1986). John Garabedian is a broadcasting legend with over 50 years experience in radio and TV. He began his radio career when he was 17 at Worcester, MA station WORC. After working at several radio stations, he worked his way up to radio station ownership, when he founded Natick MA’s WGTR in 1972. The success of that station lead to John launching another radio station: WGTF in Nantucket. Already successful in radio, John began exploring television ownership and discovered a TV station the FCC had allocated that hadn’t been purchased yet and soon after purchased the FCC license for channel 66. He brought in his team and launched V66. The channel ran on channel 66 from Feb. 1985 to Sep. 1986, when it was sold to Home Shopping Network. In 1987, John began hosting the nationally syndicated radio program Open House Party (OHP), which is still heard on over 150 stations all over the USA. In 2003, John returned to television with the TV channel XY.tv, a lifestyle channel that aired until 2006. In addition to hosting OHP, John purchased three radios stations on Cape Cod in 2012: WPXC, WFRQ, and WHYA. Arnie Ginsburg is a legendary DJ in the history of early rock radio. He began at WBOS and continued at WMEX. He became a popular tastemaker and his radio show became a popular outlet for reaching the teenage audience in the 1950s and 60s. After a stint as a DJ at WRKO, Arnie transitioned to becoming a general manager of radio stations such as WBCN, WWEL and WXKS. 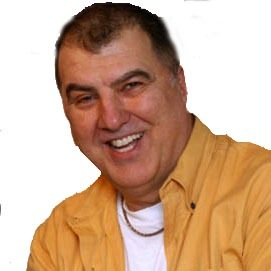 In the early 1980s, John Garabedian (who worked with Arnie at WMEX) brought Arnie in as General Manager of V66. While Arnie was not a VJ, his involvement with V66, gave the channel some serious clout. After V66 ended, Arnie returned to WXKS. In 1997, he was one of 25 American disc jockeys saluted by the Rock and Roll Hall of Frame. In 2008, he was inducted into the Massachusetts Broadcasters Hall of Fame. Today, he is retired in Ogunquit, Maine. David Beadle had a background in TV news. He produced an Atlanta music video series Atlanta Rock Review that caught the attention of John Garabedian and Arnie Ginsburg. He was brought in as the Director of Programming at V66. After the sale of V66 to Home Shopping Network, David transitioned into the mortgage industry. Today, he is retired in Vermont. Roxy Myzal came to V66 with an impressive music background having worked in radio as well as in record label promotion. She was hired as the Music Director at V66 in 1984. In addition to being an influential force in V66’s music programming, she also hosted the Roxy Report (a music news update) and the New Music Show. After V66 shut it’s doors, Roxy worked for MCA Radio Network, the music video production company Mark Freedman Productions, and at SW Networks. Today she is the producer of hardDriveRadio, a national radio hard rock program. David O’Leary was one of the most popular VJs at V66. He was already a radio veteran with experience at WBCN and WAAF when he joined V66. 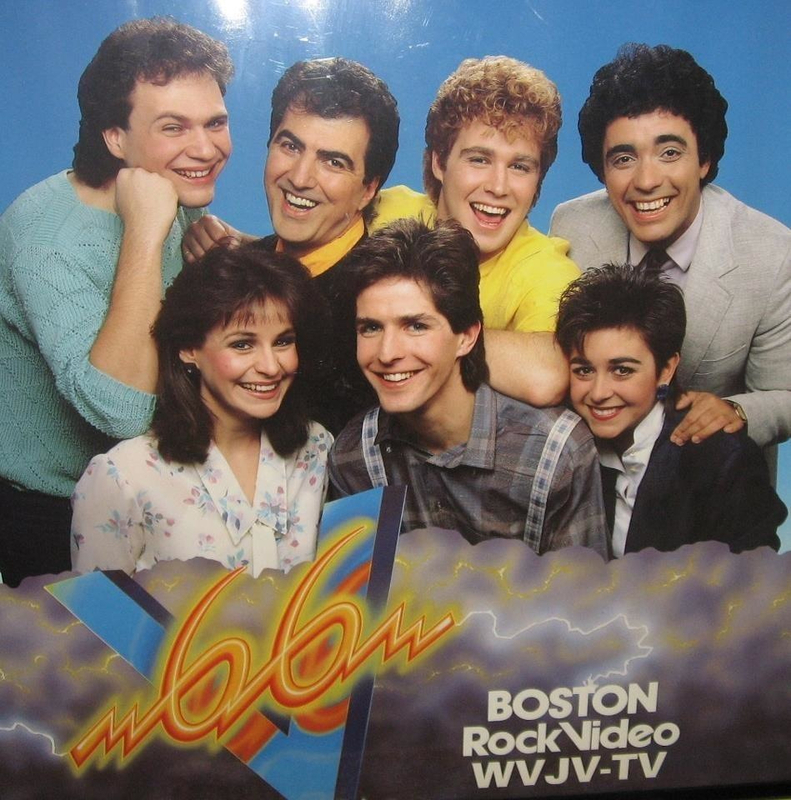 After V66 ended, he returned to radio and worked at such Boston stations as WXKS (Kiss108-FM) and WBOS. Today he is the morning DJ at Boston’s WMJX-FM (Magic 106.7) and he is also a popular voiceover and host, notably for national programs on PBS. Ian O’Malley joined V66 shortly after high school. After V66 ended, Ian worked at WAAF. He, later, moved to NYC and became a VJ on VH1 where he interviewed multiple celebrities and rock stars. In 2000, he co-hosted the first season of CBS’s hit reality TV series Big Brother. He also had a stint as a VJ on VH1 Classic and has appeared in such films as Richard Linklater’s School of Rock and Lasse Hallstrom’s The Hoax. Today, Ian is a popular voiceover and a DJ on WAXQ-FM (Q104.3) in New York City. Perry Stone was a NYC-based DJ with experience hosting a music video series in Long Island, when he was selected to join V66. He gained a huge following thanks to his outrageous gags and humor. After V66 ended, he became a DJ at Boston’s WXKS. He has worked as both a DJ and in radio operations at radio stations all over the country. Today, he can be heard on WQLZ-FM in Springfield, IL. When Bill Stephens joined V66, he was already had a tremendous amount of broadcast experience, having been a DJ at numerous radio stations throughout CT, CA, NV and MA. While at V66, in addition to being a morning VJ, he also co-hosted Boston Sportsbeat, a sports highlight show. This experience in sports broadcasting paved the way for Bill’s post-V66 career. Since 1989, he has been involved in just about every level of motorsport television. He has been a host, reporter, producer, and writer for motorsport programs on ESPN, ABC, NBC, CBS, and Fox Sports among others. Today, Bill continues to work in motorsport television as well as publishing. He is also a DJ on Cape Cod's KoffeeFM. Mary Jo came to V66 from Pennsylvania, where she worked in rock radio. While at V66, she became a very popular VJ as well as the host of Metal Mania. She was also the host and producer of V66’s biopic series The Superstar Show. After V66 ended, she did a stint as a news reporter at WSLS in VA, where she was nominated for an Associated Press award. She has worked as a freelance journalist, writing for almost 100 media outlets, and today is a multimedia journalist and social media strategist. Maribeth had worked in TV news at WBZ-TV prior to joining V66. She was hired as a news producer and they liked her so much, she became an on-air VJ known as “Tracy Cox”. After V66 ended, Maribeth returned to news producing and worked at TV stations in RI, MD, and KY. Today she is based in MD, where she is a freelance multimedia and TV producer. Bob Rivers, co-host of V66's "The Bob and Zip Show"
Bob Rivers was half of the shock-job radio team of WAAF-FM’s Bob and Zip. The success of their morning show lead them to make a video for their novelty hit “Just a Big Ego”, a parody of “Just a Gigolo”. That video became a V66 staple. In 1986, Bob and Zip hosted a show on V66, The Bob and Zip Show, showcasing their brand of wacky humor. After V66 ended, Bob released the novelty album Twisted Christmas, which has become a holiday classic. Bob has released several comedy albums since. After being on radio in Baltimore, he moved onto Seattle, where his successful The Bob Rivers Show was top-rated until retiring in 2014. In 2016, Bob and Zip reunited and The Bob and Zip Show can be heard on Worcester, MA's The Pike 100FM. Greg Hill grew up such a fan of John Garabedian, that he sent fan letters to him when he was still in high school. John gave young Greg an opportunity to become an intern at V66, which lead to Greg working his way up to Production Assistant and later, an Editor at V66. After V66 ended, he began working at WAAF-FM. His radio show The Hill-Man Morning Show is one WAAF’s longest-running radio shows and he is still hosting it today. In addition to the radio, Greg is President of The Greg Hill Foundation. 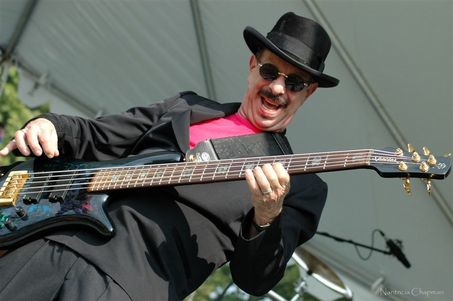 Danny Klein joined Worcester, MA blue-rockers The J. Geils Band in 1967.Their albums have sold millions and their #1 single “Centerfold” from 1981 is one of the biggest singles of all-time. After taking a hiatus in 1986, the band reunited for a 1999 tour. They have played several reunion shows since then. They were nominated for induction into the Rock and Roll Hall of Fame five times. In addition to J. Geils Band, Danny also performs in Danny Klein's Full House Band. Greg Hawkes joined Boston rock band The Cars in 1977. Their new wave sound set the tone for much of 1980s music. They released a string of multi-platinum albums and had 13 Top 40 singles including “Drive” and “You Might Think”. To date, they have sold over 23 million albums in the U.S. alone. In addition to The Cars, Greg has recorded several albums performing the ukulele, and he has performed with The Turtles and Todd Rundgren. In 2018 The Cars were inducted into the Rock and Roll Hall of Fame. Critically acclaimed Boston new wave band 'Til Tuesday was formed in 1982 by singer Aimee Mann. Their 1985 debut featured the Top 10 hit “Voices Carry”, which keyboardist Joey Pesce co-wrote. Joey left the band in 1987. Today he is a noted artist and sculptor. Boston hard rockers Extreme rose to fame with their #1 song “More Than Words” in 1991. To date, the band has sold over 10 million albums worldwide. The band performed at the 2013 Boston Strong Concert. Paul left the group in 1994 and is now a successful music manager. Hal continues to perform rock and blues around the Boston area. Boston garage rockers The Del Fuegos were so hard working in the 1980s that they appeared in a famous 1985 Miller Lite advertisement. Their hits “Don’t Run Wild” and “I Still Want You” were embraced by V66. Dan has become a successful Grammy Award-winning children’s music artist with his group Dan Zanes and Friends. Woody founded Right Turn, a program offering assistance to artists in recovery from drug addiction and other mental health issues. Hard rock band Puddle of Mudd scored a Top 5 hit with “Blurry” in 2001. They have sold over 7 million albums worldwide and are currently on tour. Doug Ardito, a Fender Musical Instrument endorsed artist, has co-written some of their biggest hits. In 2014, he left the band. 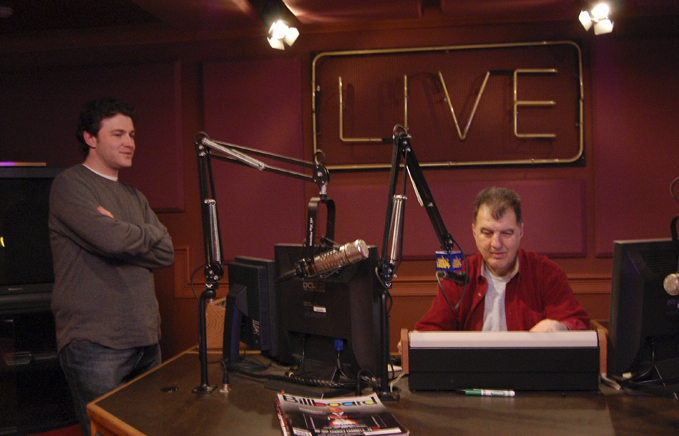 Gil Kerr, Producer of V66's "Boston Sportsbeat"
Paul "Tank" Sferruzza, co-host of V66's "Boston Sportsbeat"
Peter "Zip" Zipfel, co-host of V66's "The Bob and Zip Show"